Until now nothing is known about the company which used these marks. The often added 'US ZONE' helps to roughly date the items, but that is all. Most probably yet another US importer/distributor. 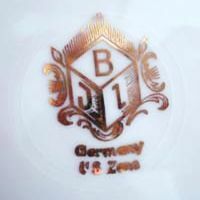 Simple 'I.J.B.' 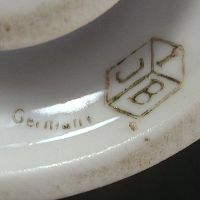 block mark over 'GERMANY'. Simple 'I.J.B.' 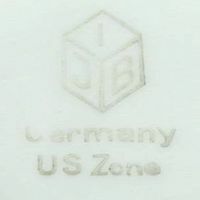 block mark over 'GERMANY, US ZONE', obviously from between 1946 and 1949. 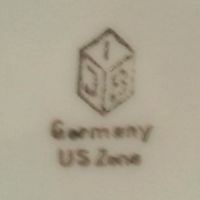 Peculiar version of the block mark over 'GERMANY, US ZONE'.